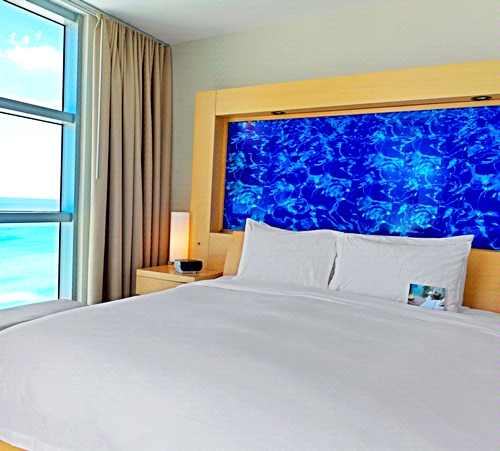 All 48 guest rooms and 142 one- and two-bedroom suites offer bay and ocean views with balcony. Each sleek, comfortable suite has an Italian-inspired kitchen, washer/dryer, and chic, modern living area. 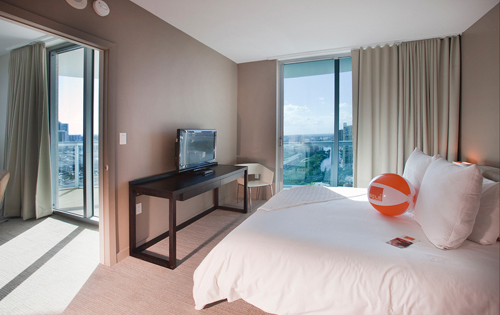 All rooms offer floor-to-ceiling windows and king-sized beds. 24 hour room service is available. Services include a Business Center, gift shop, complimentary fitness center, car rentals and limousine services, and tour/excursion services. To relax on-site enjoy their European style spa, a 6,000-square-foot spa or golf and tennis nearby. The Bal Harbour Shops and the Aventura Mall are nearby with an array of stores and restaurants. The hotel is just 5.3 miles (10 mins) from the Kovens Conference Center. Recently renovated, the hotel’s 151 guest rooms are complete with coffeemaker, iron and ironing board, dataport with free high-speed DSL internet, in-room movie channels and expanded cable including HBO. There is no surcharge for calling cards, and all local calls are free. Also offered is complimentary hot breakfast buffet daily. 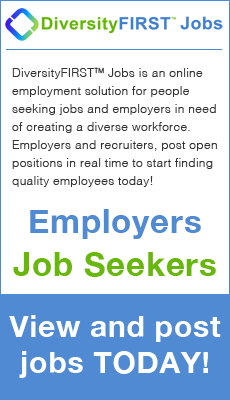 Complimentary USA Today is delivered Monday through Friday. On site, try the Steak n’ Shake Restaurant, rent a car or enjoy the outdoor heated pool and fitness center. Across the street is the Gulfstream Park Racing & Casino. The Mardi Gras Racetrack & Gaming Center, Calder Race Course and Aventura Mall are all just a mile away. The hotel is located 5.5 miles (12 mins) from the Kovens Conference Center. A true four-star boutique hotel, the Daddy O hotel delivers visitors to Miami, Florida an entirely new, custom designed, sophisticated and stylish hotel property centrally located on Bay Harbor Islands near all the best nightlife, beaches, shopping and dining the Miami area has to offer. Step inside any one of the guest rooms at our resort-style Miami, Florida property for a true floor-to-ceiling chic, boutique hotel experience. A custom wood entry, sleek modern furniture, sisal carpeting, thoughtful high-tech accessories, and guest amenities combine to create a new modern way to visit the Miami area, you may just never want to leave. The hotel is located 5.9 miles (7-10 mins) from the Kovens Conference Center. Towering 24 stories over Sunny Isles Beach, the hip Solé resort maintains a private beachfront and oceanside swimming pool. Each of the resort’s 249 guest rooms and suites feature modern decor, a private terrace with glass railings, floor to ceiling windows providing spectacular views of the Atlantic Ocean or Intracoastal Waterway. Centrally located within the popular communities of Golden Beach, Bal Harbour, and Aventura, and only minutes from the culture and night life of South Beach and the Art Deco District, Solé is conveniently located a short distance from the South Beach dance clubs, pulsing with Latin rhythms and world-renowned shopping. 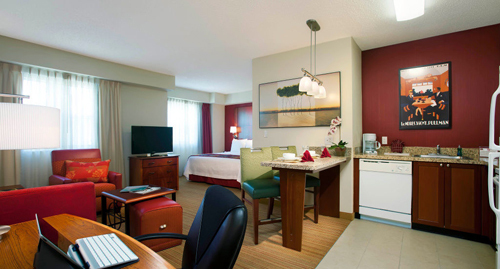 The Courtyard Marriott at Aventura features 166 rooms. Some of the hotel's amenities are fax, photocopy and printer service, indoor Jacuzzi, outdoor swimming pool and a workout room for the enjoyment of the guests. 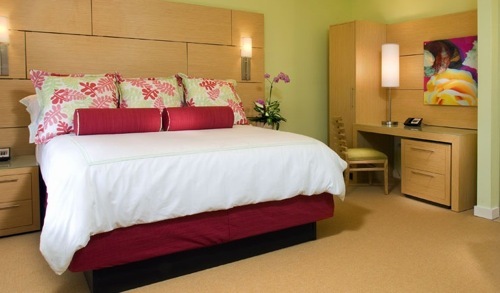 The spacious rooms also offer complimentary high-speed internet, well-lit ergonomic work desks and in-room coffee/tea. On-site, The Courtyard Café is open for breakfast daily. All these conveniences along with a courteous staff make the Courtyard at Aventura one of the best values in North Miami. The beach, Aventura Mall and many restaurants are all less than 1.0 mile away. The hotel is just 4.1 miles (9 mins) from the Kovens Conference Center. Nestled in one of the most upscale areas in Miami, the Residence Inn by Marriott recently opened beside the Aventura Mall. 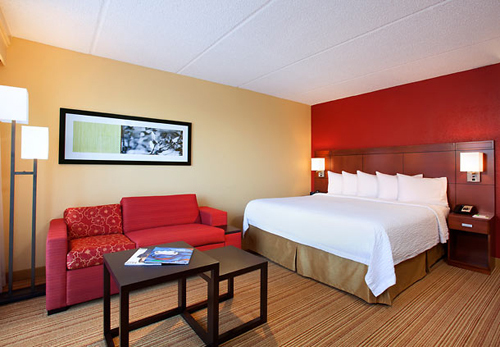 The hotel features studios, one- and two-bedroom suites with fully equipped kitchen and living room area. Discounted rates are available for long-term stays and include complimentary breakfast buffet every morning. Enjoy their swimming pool, whirlpool and fitness center and experience world-class shopping, beaches and a variety of dining and entertainment alternatives only minutes from the hotel. For your convenience, take advantage of complimentary grocery shopping. Pets are welcome at the property; located just 4.9 miles away (11 mins) from the Kovens Conference Center. 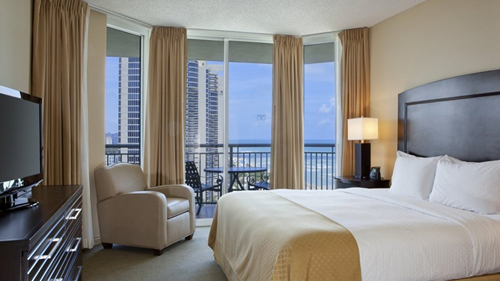 The Ocean Point Beach Resort & Spa offers a full service ocean-front resort with 166 suites. 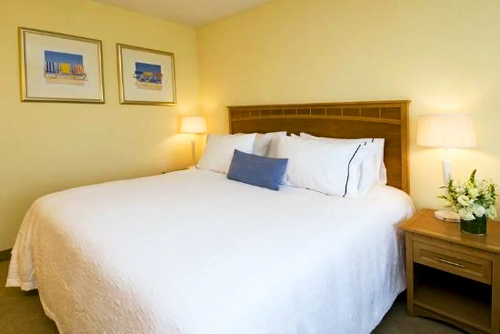 Studio Suites, 1- Bedroom and 2-Bedroom apartments most with full kitchen facilities, washer and dryer and their own private terraces overlooking the ocean offer spacious accommodations equally suited for a long-stay or a short visit. The state-of-the-art fitness center and full-service European-style spa allow for a vigorous work-out or a soothing massage after your conference - or you might chose to unwind at one of their two restaurants or lounges. A large zero-entry beachside pool, 2 Jacuzzis and Beach Club compliment the recreational amenities. The business center offers access to the internet, fax, computer and photocopy machines. The hotel is located 4.5 miles (10 mins) from the Kovens Conference Center. The Newport Beachside Resort is an oceanfront full-service resort featuring a private pier with an open-air restaurant, a lighthouse and beach, water sports, game room/arcade and even child care & babysitting services. Nearly all of the 350 oversized rooms in this pet friendly hotel overlook the crystal-clear waters of the Atlantic Ocean. Dining options are endless with full menu room service along with a number of on-site restaurants, cafes, and bars. All guest rooms are tastefully appointed with a comfortable, tropical decor and include amenities such as refrigerator, microwave, safe, coffee maker, hair dryer, iron/board, remote control cable TV, phones with data port & voice mail, alarm radio, Jacuzzi jet tubs and make-up mirror. Located on Miami Beach at a convenient distance from both Miami International and Fort Lauderdale International airports, the Newport Beachside Resort is 4.1 miles (10 minutes) from the Kovens Center.